An excellent tool for all artists, Jacquard Syringes are great for detail work and transferring paint. 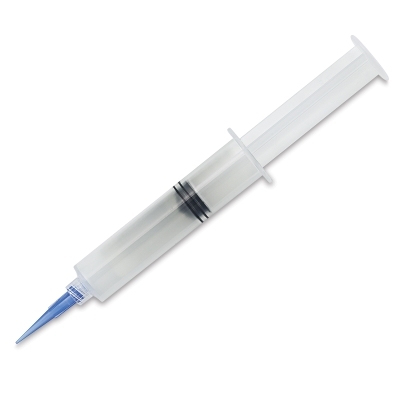 The clear plastic syringes are easy to clean and won't leak, even when working with thin liquids. Made in the USA.